This ColorRead With Me™ Storybook is an opportunity for adults to read an adventure story to children as young as five & for kids to also color the drawings. 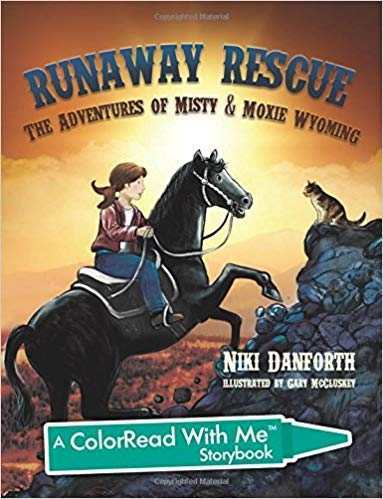 10-year old Moxie Wyoming & her magic horse Misty are at it again. There's a family of feral cats who've taken up residence at the family ranch & are threatened by predators. But it's the urgent call to rescue a colony of city cats that requires Misty’s special powers & Moxie’s can-do attitude. Can this brave duo get there in time?